Huge Congratulations on your new position here in Utah! Moving can be stressful and Daryn is here to make it as easy as possible. He made the same move 18 years ago and is the market expert that is excited to help you come enjoy all that Utah has to offer. Daryn Edmunds is the Principal Broker of High Road Properties. He specializing helping clients in buy and sell homes on the East Bench of Salt Lake City and in the Park City area. Daryn takes pride representing his clients and in getting things done quickly and smoothly. With 10+ years experience in Real Estate, Daryn has the knowledge and skills to get you the home you want in our competitive market! He takes the time to listen to your wants and needs, then he establishes a step-by-step plan to get you where you want to go. If you need to make things happen quickly, or want to take your time Daryn will be there for you as your personal real estate advocate every step of the way. 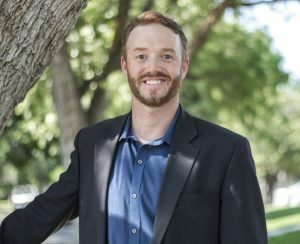 Daryn began his career in real estate as an investor in 2005. He became a full-time licensed Realtor in 2009. Building his business from the ground up during the largest real estate downturn in recent history he understands the value of hard work, diligent follow through, attention to detail, and honest communication. Daryn’s drive led him to create High Road Properties LLC in October of 2013 to better serve his clients needs. He is an avid skier, mountain biker and rock climber who can not get enough of the mountains. Daryn holds a BS in Finance and Marketing from The University at Albany and an MBA from the University of Utah. He made the move from Upstate New York in 2002 in search of bigger mountains and more adventure and has not been disappointed yet. Please call, text, or email anytime to talk over your goals and to make a plan for your new home. Take the High Road! Check us out on Zillow and Yelp! I don’t care how motivated and ambitious you are to buy that house or that piece of land, Daryn will work harder than you to make it happen. He works nonstop, day and night, 7 days a week. Daryn went above and beyond. When we needed extra time on our contract because of a last minute switch of lenders, Daryn was able to convince the seller to give us that extra time- even on the financing deadline. When the lender required a statement from the county office we were purchasing from Daryn handled all communication. “Daryn is the best. Hands down. We have been on both sides with Daryn – he helped us buy a house 3 years ago and we just sold a second home we owned this year using him as our agent. When we bought our current house (our DREAM home), Daryn was skillful at negotiating, told us exactly what we needed to do, fought for us when other offers came in, and now I am living in my dream house. “I HIGHLY recommend Daryn as a real estate agent – he is amazing!! As a first-time home buyer, Daryn has been an absolute lifesaver and worked with our insane timeline of finding a house in just a few days. From house hunting to closing, he worked hard around the clock to make sure we secured our favorite home – which says a lot during a seller’s market where houses sell within a few days! My husband Jim is a surgery resident, and our timeline to find a home was extremely short. I came to Utah on a house hunting trip a few days before my husband arrived. Daryn showed me a ton of homes all over Salt Lake, patiently took the time to explain the house buying process to me – and then explained it all over again to Jim over the phone. Within two days, Daryn was able to show me all of the neighborhoods that were within a 20 minute commute from the University of Utah hospital, and I saw more than 30 homes. His expertise helped us confidently sign an offer the day Jim came to town – which was Day 3 of the search! Daryn has a wonderful laid-back personality and I appreciated that he didn’t show us one home that was over our stated budget. Although, don’t let his easy-going attitude fool you – when it comes to winning bids he’s super competitive. We believe he saved us a ton of money by quickly helping us put in a winning offer before other interested parties had the chance. Plus, he handled all the walk-throughs and closings for us while we were back in San Diego getting ready to move. What originally drew us to Daryn was his passion for the outdoors – he has amazing insight on all the great nearby spots to hike, bike, camp, backcountry ski, etc. He really made house hunting fun and the day just flew by! When I realized we were looking at houses and it was almost 7 p.m. – I panicked because I was going to be late picking up my dog from the doggie daycare facility. He not only took me to pick up my pup in his car, but he invited her to ride along with us the next day! Daryn’s a former pro-skier and has lots of great tips on where to live if getting outside is your passion. He helped us find a home where I can get out and hike every morning before work! We bought a home in East Millcreek/Holladay area, and the home and location is absolutely a dream come true for us. See more Reviews on Yelp! This entry was posted in Real Estate Agents on February 28, 2016 by Odessa Karsy.